HRT (Halmar Racing Team) is sending 6 teams to Delaware for the Melvin L. Joseph Memorial Weekend at Georgetown Speedway, March 16-17. Leading the charge is HFR (Halmar-Friesen Racing) driver Stewart Friesen, fresh off a stage win and top 5 finish at Las Vegas Speedway in the Nascar Camping World Truck Series. Stew will compete in Saturday’s 49-lap, $6,949 to win STSS Modified event and Friday night’s 30-lap, $4,049 small-block main, both in the No.44 Halmar International Car. Over the past 2 years, Friesen has won 3 times at Georgetown. The defending STSS Modified Melvin L. Joseph event winner, Jimmy Horton, will return in his No.43 Halmar International Car, looking to make it 2 in a row. Halmar drivers Matt Janiak, Allison Ricci and Tyler Boniface will all make their debuts in Georgetown this year, also competing in the STSS Modified event. Allison and Tyler will be pulling double duty in the small-block event as well. 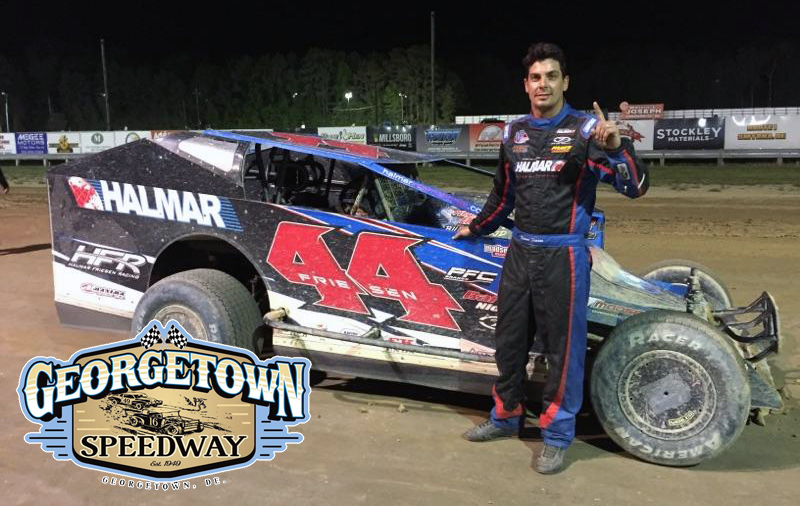 Halmar’s sixth team in attendance will be that of Danny Morgiwicz, from Goshen, NY, who will be racing in the STSS Crate 602 Sportsman event on Saturday. Thanks for visiting Halmar Racing Team. Follow us on your favorite social media channel.